It was then that I heard something, the whoosh of roller skates coming down the road in my direction. And as I turned, the incredible happened. Gliding with grace, there she was, coming at me with her hair glowing red, blowing backwards in the wind. Before either one of us knew what was happening Natasha ended up tripping on a loose stone, flying straight into my arms. 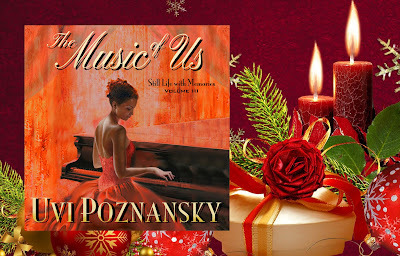 That moment I sensed the same rhythm, the same beat pounding in her chest and mine, which convinced me of one thing: despite messing up a 1941 Ford Super Deluxe Convertible, or maybe because of it, I was—without a doubt—the luckiest man alive! But unfortunately, as moments often go, this one did not last. By instinct I drew closer and touched my lips to her forehead, taking in the fragrance of her hair, which must have been a mistake, I mean, not the fragrance but the thought of a kiss. Natasha pulled herself back from me, perhaps embarrassed because of the sudden, unintended touch. With delicate, almost transparent fingers she straightened her skirt and smoothed an unruly curl that slinked down the left side of her face. She tucked it carefully behind her ear, slowly composing herself. Then, catching her breath, “Now you’ve really done it,” she said. “In that case you’re going to have no choice but to fall in love with me,” I said. 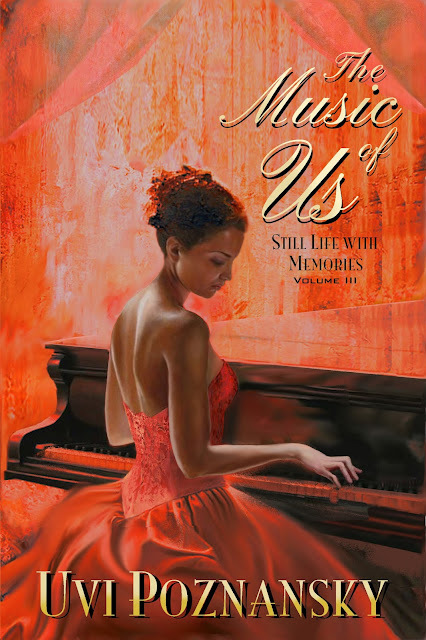 "The Music of Us is a wonderful love story from the first sentence until the very last. It touched my heart." Are You Seeking Your Motivating Force?